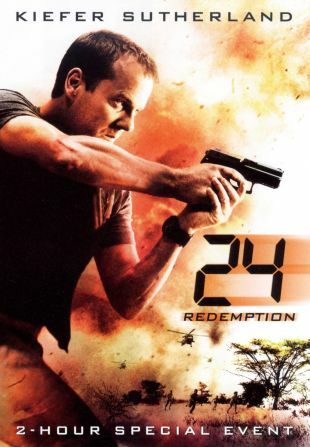 A made for TV movie that provides a bridge between the sixth and seventh seasons of the hit FOX action series 24, 24: Redemption features series star Kiefer Sutherland as Jack Bauer. As the program opens, Bauer spends his time doing missionary work in Africa, laying low while the United States government attempts to capture him. His work leads him into contact with an evil warlord who maintains a loyal army by constantly brainwashing children into joining him. Bauer risks his freedom in order to stop the warlord. Redemption co-stars Oscar winner Jon Voight, Gil Bellows, and Robert Carlyle.